We love Wonder Woman. We love watching female creators in the comic book industry have a chance to work with more and more popular titles and characters. Renae De Liz, known for her work with Womanthology and Lady Powerpunch, is currently writing and drawing a 9-issue mini-series called The Legend of Wonder Woman. The series will focus on the Amazon princess’ childhood, before she was known as Wonder Woman. 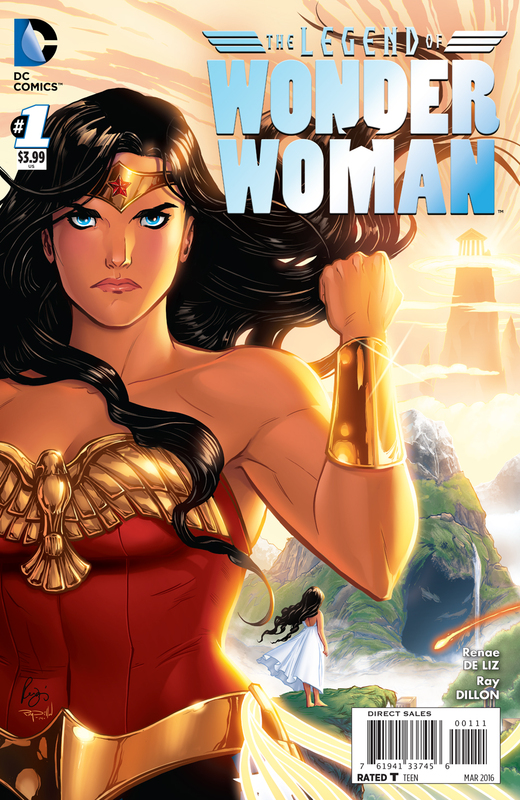 The series begins with a brief look into Hippolyta’s past and the creation of Themyscira. 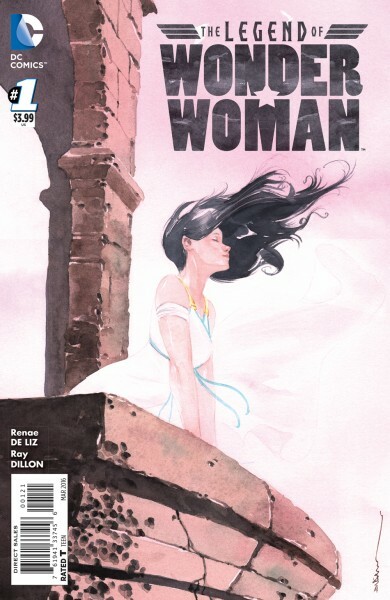 There are even pages dedicated to Diana’s “birth.” The trailer indicates that the book will end with Diana as an adult and taking on the superhero mantle (watch the video below). On this first issue, we are introduced to a couple of characters in the book that are going to play a big part on how Diana chose the warrior’s path instead of simply accepting her role as heir to her mother’s throne. The story will explore a darkness that is slowly ascending over the Amazon’s home. I am definitely interested in Aclippe, who seems to be the most capable warrior among the Amazons and her developing relationship with the Princess. My impression is that this series will be epic and written like a legendary story about a powerful character. De Liz’s illustration successfully depict beautiful but strong women with her style and the bolder lines used by ink and colorist, Ray Dillon. Little Princess Diana is perfect—she is cute but has the best stubborn and thoughtful expressions. The first issue hits your local retailers today! Happy new comic book day! Comikaze Expo 2013: Michelle of IAmChubbyBunny as Miss Freeze!